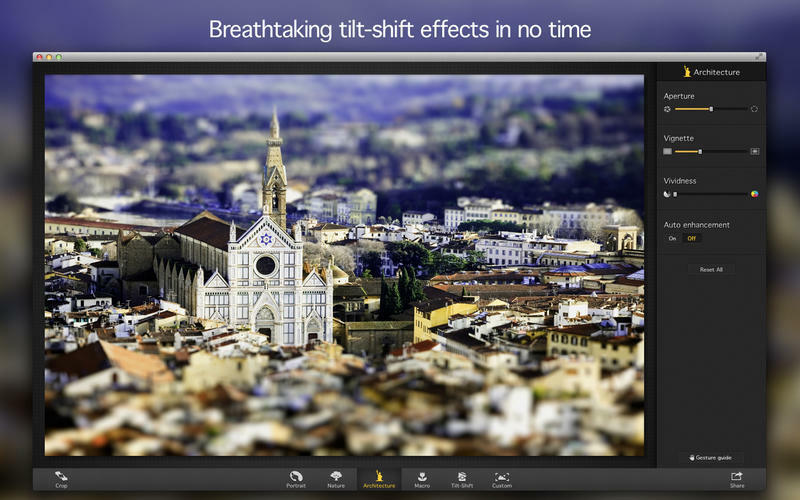 Add depth to your photos with tilt-shift and other effects. 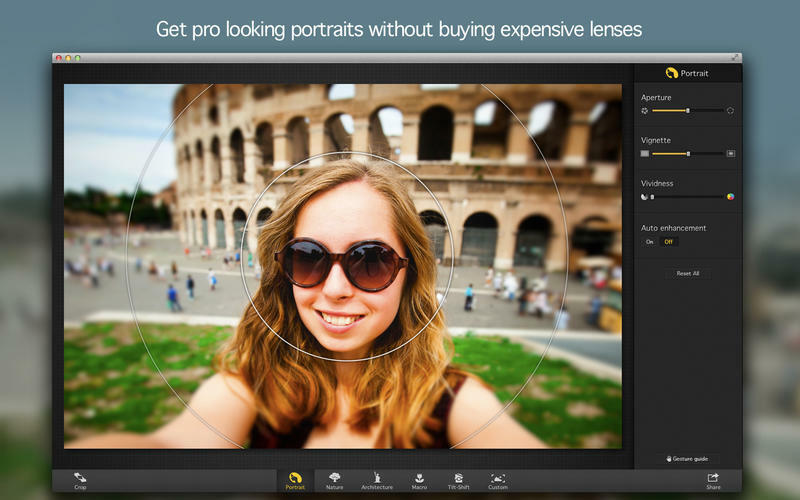 Is Focus really the best app in Image Editing category? 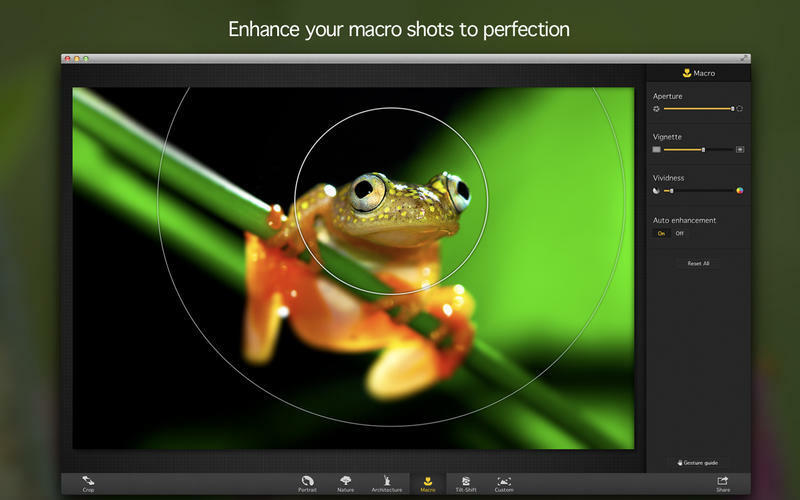 Focus brings you powers to create magnificent tilt-shift images and pro-looking portraits, to enhance macro shots and take creative blurring to a whole new level. It's the easiest, fastest way to direct your viewer's eye right where you want it to go. 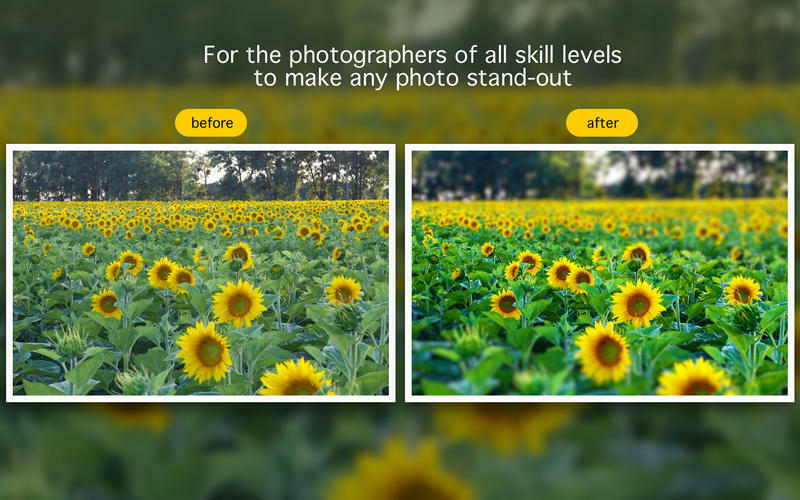 Perfect for photographers of all skill levels who want to experiment and take creative blurring effects to a whole new level! Pick among 'Macro', 'Tilt-Shift', 'Portrait', 'Nature', or 'Architecture' tools to get realistic looks in few clicks. 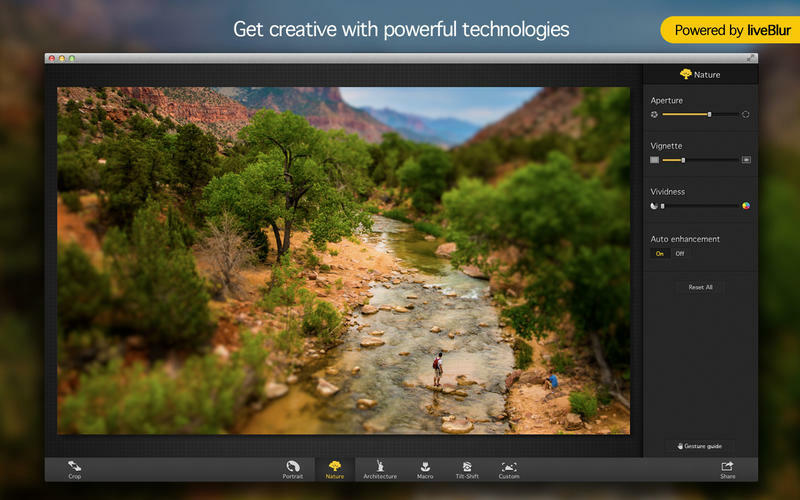 Select any object you want to be in the focus on your shot with 'Custom Focus' tool. Print on Demand - Put your Focus 2 images on a canvas, a postcard, or a framed print and get them shipped right to your door.